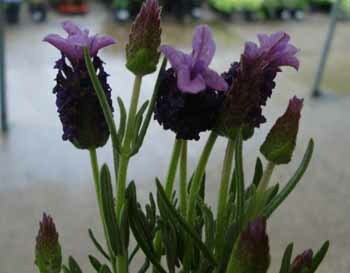 Lavandula - lavender are traditional perennials that are so sweetly smelling they are perfect for pots and planted on mass to enjoy. They have thin silver-grey leaves with masses of lovely violet and blue flowers that are so attractive to butterflies and bees. Lavenders are used for all sorts these days, perfumes, cooking and decoration. They are a good all rounder perennial that never disappoints.